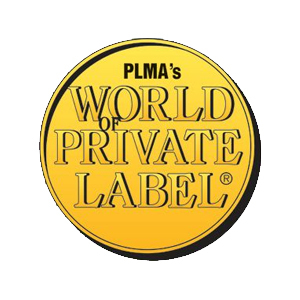 Private limited company Rukola is one of the leading companies in the Baltic States, specialising in the import, bottling and wholesale of edible oil meeting the strictest quality standards; it has earned the recognition of retail chains and major food producers. The company ensures top quality end products by carefully selecting its suppliers and inspecting quality at each stage of production. The company’s production capacity is over 6 million 1-litre PET bottles per month, so we can be flexible in delivering large orders as well as special smaller orders. Rukola specialises in the trade of edible oils. To ensure high quality production for competitive prices the company selects its suppliers very carefully. We purchase large quantities of top quality refined rapeseed, sunflower, soybean and unrefined sunflower oil in bulk. We inspect each and every order carefully to ensure that the oil meets quality standards and requirements. In 2013, exports of Rukola to the Baltics, Nordic countries, Central and Western Europe increased significantly. We provide competitive offers to individual enquiries from other countries and help with logistics and other issues related to edible oil orders. Rukola pays special attention to quality management and adheres to the requirements of the standards. As a result, the company was awarded with certification for BRC Global Standard for Food Safety Issue 6 after an audit of the food safety management system was conducted. The company participates in food trade shows on an ongoing basis. This allows us to present our products and activities and discuss cooperation opportunities with foreign partners. The trade shows that we usually attend are Anuga (Germany) and SIAL (France). In May 2014, the company plans to have a stand at the Lithuanian pavilion at PLMA 2014.